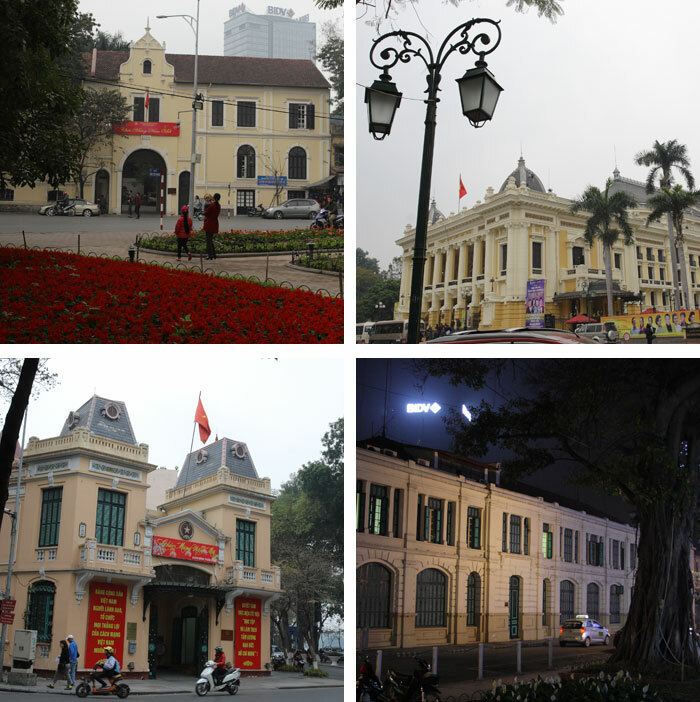 Hanoi, the capital of Vietnam, is a perfect place to trace the glorious day of both the ancient Vietnamese monarchs and French colonial years. It was great to see both of them placed side by side in a city where Ho Chi Minh, the great revolutionary leader who united North and South Vietnam under communist rule, rests forever in his eternal sleep inside a mausoleum. This was our second time to Vietnam. Previous year, we went to the tropical south. This year, we visited the cold climate north and had my very first winter. 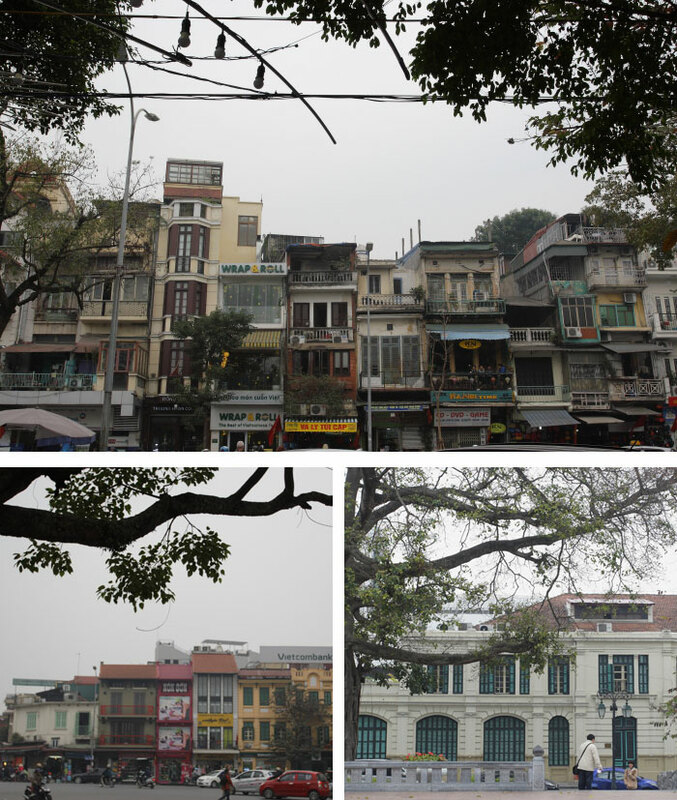 Most tourists coming to Hanoi stay in the old quarter. It’s a great place to explore the city. Nearly all tourists spots could be reached by foot. Like always, we relied on google map for directions. As for spots we should see, we counted on the tourist map from the hotel. 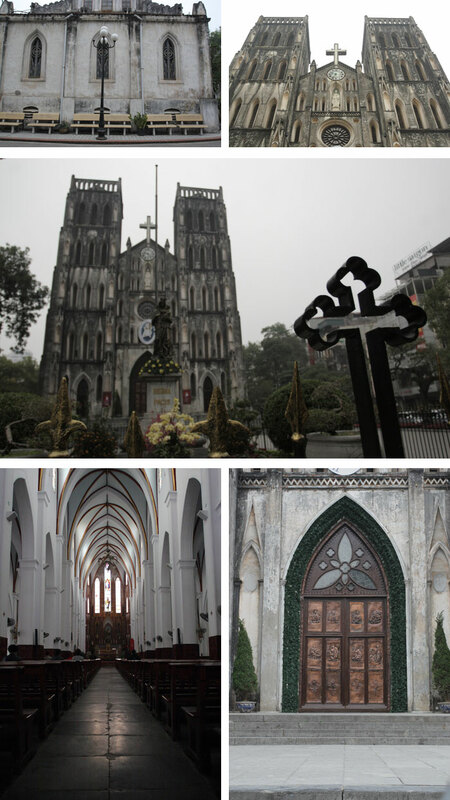 First, it was the Cathedral of St Joseph which was erected in 19th century. The building seemed to resemble the Notre Dame Cathedral of Paris. It was sad however that due to the lack of maintenance, the exterior wall was heavily polluted with dust. The interior is open for tourists and taking pictures inside is allowed. Well, of course it would be much better if you turn off the sound of your camera so as not to distract the people who pray inside the cathedral. By the way, the cathedral of St Joseph was built on an ancient ground where a royal Buddhist monastery had been built somewhere around 1100. That centuries old monastery was demolished to give a space for the cathedral. What a tragic lost! 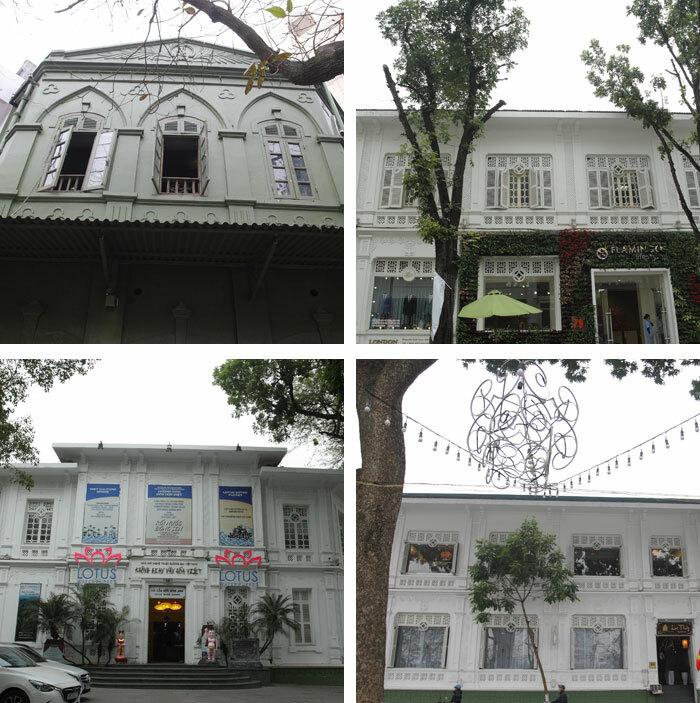 Not far from the cathedral, we found some nice French colonial shops and cafes. Some of them were upscale. 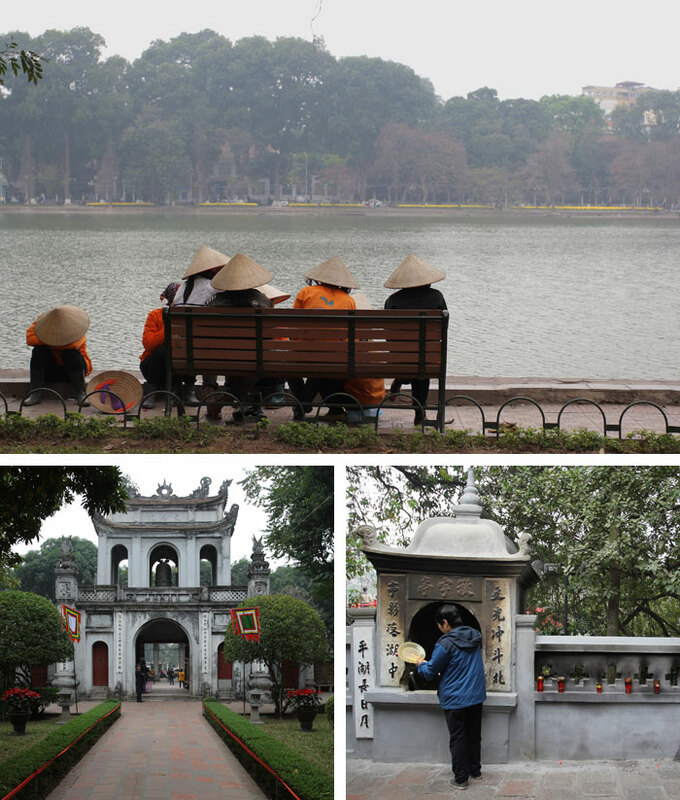 The main attractive place for tourists in Hanoi is Hoa Kiem Lake where there is a small temple built in its centre. 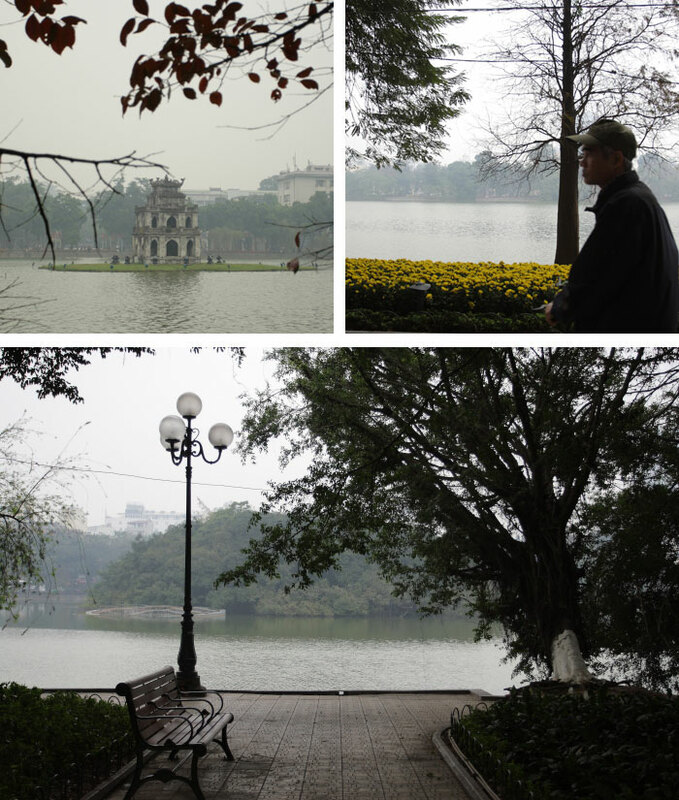 The lake is scenic and becomes the focal point of Hanoi’s public life. 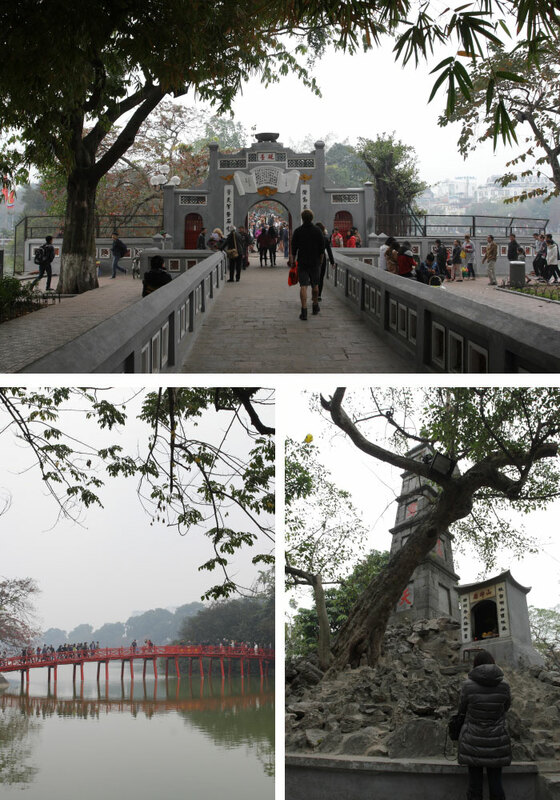 Spending few hours of walking around the lake, you will find some different scenes like old colonial French heritages, and the ancient Vietnamese monarchs. I stopped by at the Ngoc Son Temple. It’s located on a small man made island on the lake. To reach the temple, we had to cross a red painted bridge, and to get inside the temple, we had to pay the tickets. Like any other temples I had seen, there were many people prayed in it. Of all the artefacts preserved inside the temple, the mummified turtoise is the most attractive one. The turtoise was accidentaly killed by a local fishermen somewhere in 1967. It somehow became sacred then. What I missed most about Vietnam was its famous authentic cuisine, the rice noodle known as Pho. That was of course became what first came in mind when I was thinking about lunch. The Pho in the north was slightly different than the one I had in the south. Here, they served it with less vegetables than in the north. 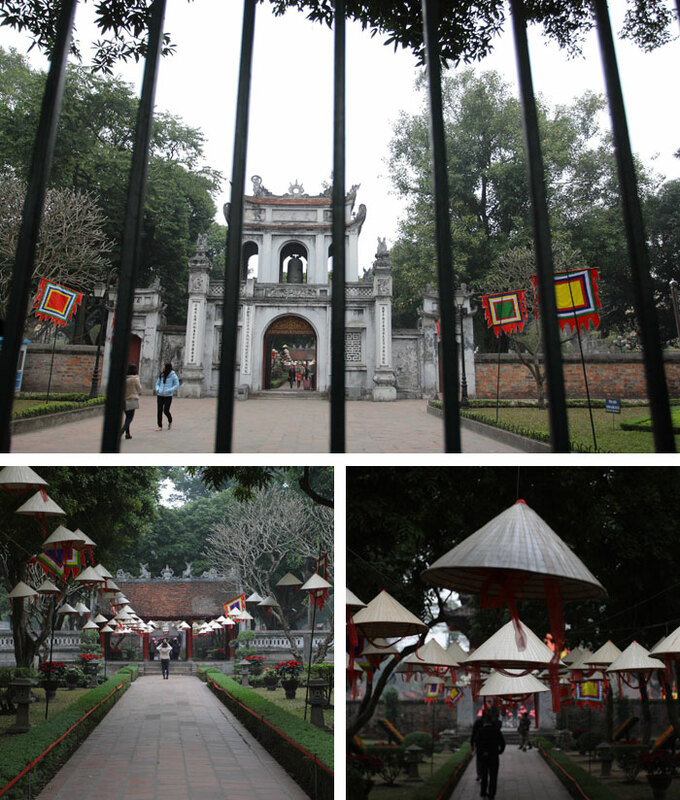 In the afternoon, we walked few kilometers to the Temple of Literature. Since we didn’t have sufficient amount of credits in our cell phones, we couldn’t rely on google maps to find direction. So, it’s the not – to – scale tourist map we got from hotel that we counted on. The good news was it was winter. So walking far from the lake to this temple was literally no sweat at all. 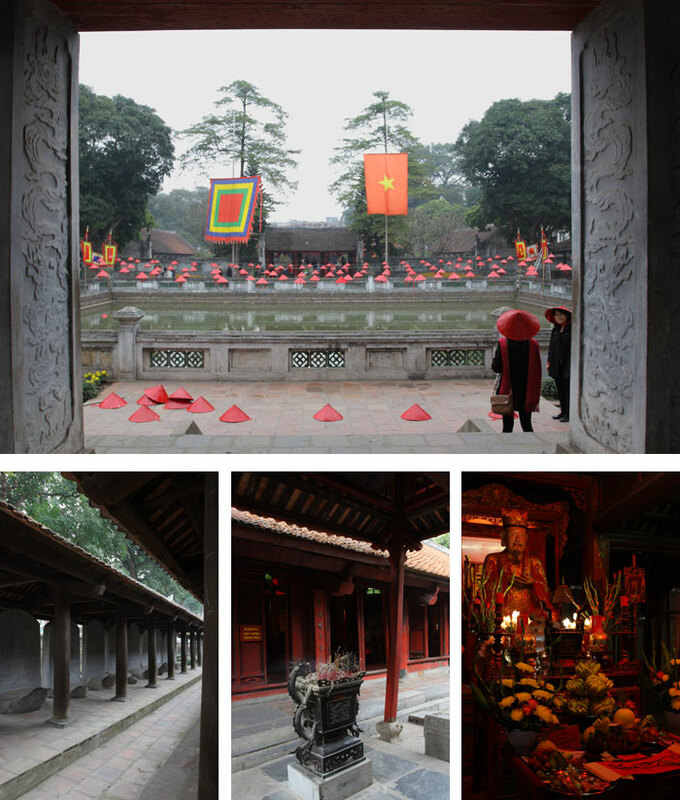 This temple was built far in 1070, dedicated to Confucius, and became the first Vietnam’s university, back then it was known as imperial academy to educate the high class society like bureaucrats, nobles, and royalties. Its layout was pretty complex, yet amazing. There were five courtyards, each came with a shady park. We had to walk through a gate every time we wanted to move from one courtyard to another. It was said that in the past, the first and the second courtyard were quiet places where the students would sit and relax under the ancient trees. I stopped at the third courtyard and found a an ancient pond which was actually a well, known as Heavenly Clarity Well and rows of stone steles with a turtle shaped stone in the bottom of each stele. Those steles were records of names and birth places of 1307 graduates of 82 royal exams. There were totally 81 exams held by Le Dynasty between 1442 and 1779, and the other one by Mac Dynasty. Local people used to come to rub the turtles’ heads for the sake of good fortunes. Now they can’t do it anymore as there were iron fences built to protect the steles. 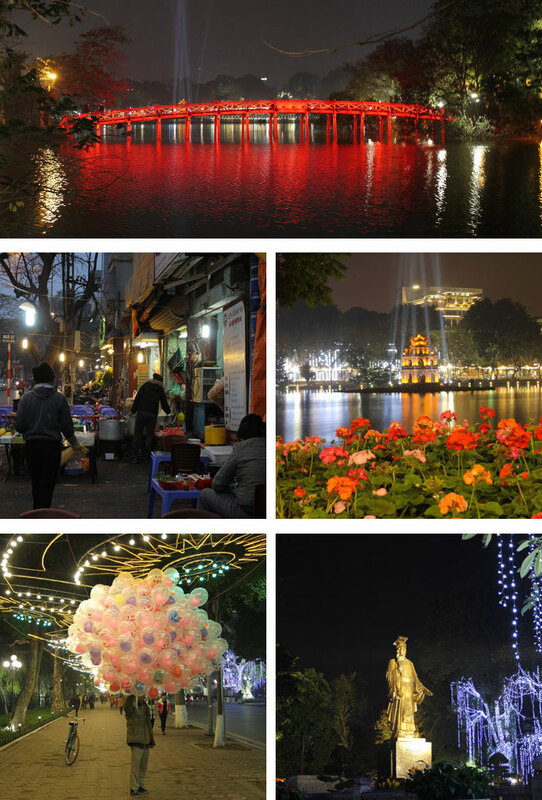 Never miss Hoa Kiem Lake at night. It’s a beautiful place to capture as it was well iluminated with colorful lights. I guessed the small temple at the centre of the lake and the red bridge to the Ngoc Son Temple looked more interesting at night. We captured them before walking back to our hotel at the old quarter.